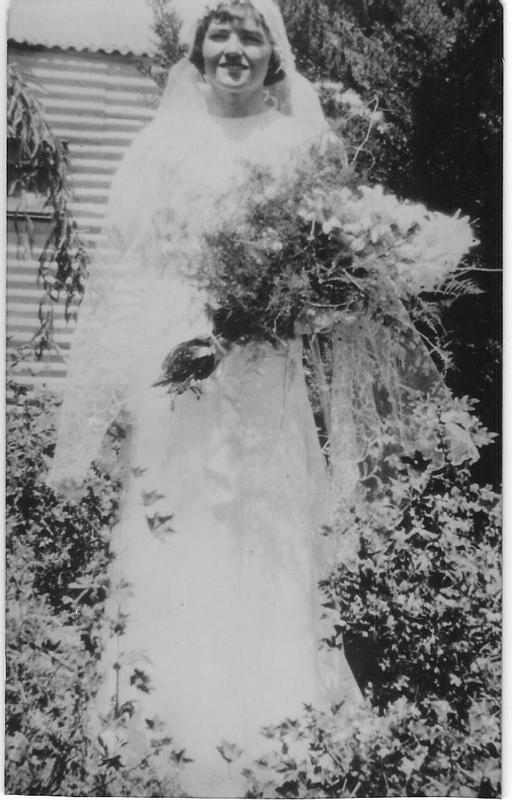 Brown, Judy nee Babington · Mary Wade Family History Association Inc.
Judy Brown nee Babington in her wedding dress. This photo was taken a week after Ron and Judy were married in 1935. The photo was taken by Mrs Cottrell in the Cottrellâ€™s garden at Mountain Creek. The bouquet Judy is holding is not the one she had on her wedding day. “Brown, Judy nee Babington,” Mary Wade Family History Association Inc., accessed April 23, 2019, http://marywadefamily.org/items/show/168.